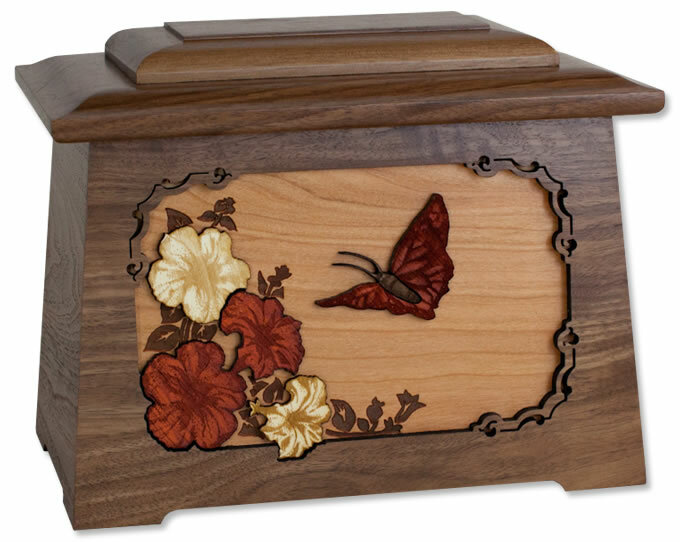 The Butterfly Solid Wood Cremation Urn is an individually crafted wood cremation urn. There are several types of exotic hardwoods used to make the butterfly and flowers on this solid wood urn. 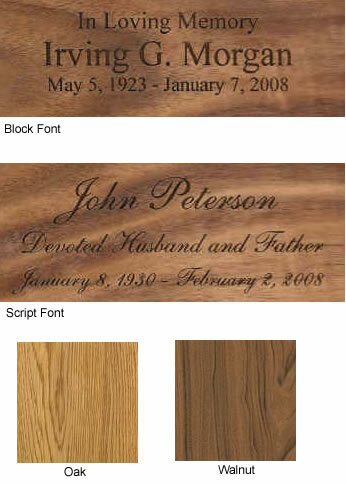 Because each piece of wood varies in grain and color, each urn is unique and may vary from the photo on our website. These urns are proudly made in the United States. This urn loads easily through a bottom by removing several screws and wood plate. As with all urns but especially with bottom-loading urns, it is important to keep the cremains in a sealed plastic bag inside the urn. Optional personalized engraving on the top of this urn is available. Please limit engraving to no more than 35 spaces per line. Check engraving information to be sure spelling, punctuation, capitalization, and dates are correct. Engraving will be done exactly as submitted. Usually ships 2-4 business days after order is placed, even for expedited orders. Ships from the West Coast.